Set in Durham, North Carolina, the story of a decaying small town and its desperate hope for renewal. Each of the colorful citizens of this close-knit North Carolina community-from a once-wealthy tobacco heiress to the city's mayor to a local police officer-will search for ways to reinvent themselves, their relationships and the very heart of their neighborhood. 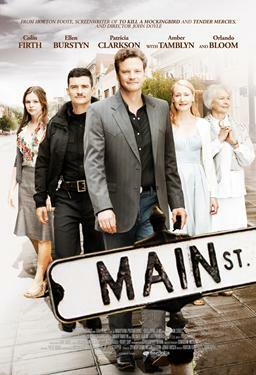 Ellen Burstyn, Colin Firth, Patricia Clarkson, Orlando Bloom, Amber Tamblyn, Andrew McCarthy, Margo Martindale, Victoria Clark, Tom Wopat, Isiah Whitlock Jr.